Founded in 1962, Abercrombie & Kent (London Head Office) has over many years developed its destination management business into perhaps the leading luxury and adventure travel and tour operational organization worldwide – with a particular emphasis on outstanding Safari Tours in Africa. Today A&K runs 52 full-time offices worldwide, staffed by more than 2,500 people. Its reputation allows A&K`s partner travellers private, and sometimes exclusive, access to museums, archaeological sites, and cultural attractions around the world. The company’s more recent innovations include Private Jet Journeys, the ultimate luxury travel experience. A family operation — with over 30 years in the luxury safari tour business. Winner of many international gold medal awards. 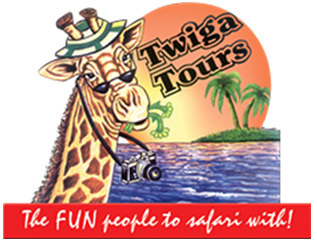 Twiga Tours exceeds every need for the discerning traveller in ground handling, transportation and guiding operations. 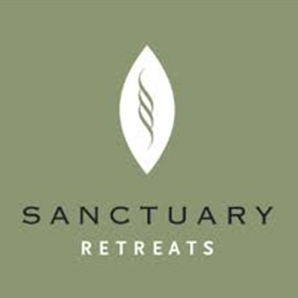 The Sanctuary Retreats portfolio of luxury safari lodges and camps brings the “boutique” experience to guests, with the added promise of authenticity. Located in some of the most stunning eco locations in the world, each property is completely individual in its design, and operated around the wonderful philosophy of “Luxury, naturally.” Owned by Abercrombie & Kent, Sanctuary Retreats is arguably the finest and most exclusive portfolio of lodges and camps in Africa. Serena has established itself as one of the world’s leading hospitality brands offering quality accommodation, unique holiday and conference solutions, cultural heritage and adventure tourism. Its collection of 35 unique hotels, resorts, safari lodges and camps, palaces and forts located in East Africa (Kenya, Tanzania, Zanzibar, Rwanda, Uganda), Mozambique and Southern Asia (Pakistan, Afghanistan and Tajikistan) are in some of the world’s most interesting, enchanting, historic and exotic settings. Founded by the famous hotel magnate Sol Kerzner, the Sun International operations include resorts, luxury hotel products, and casinos, across 27 destinations in 8 countries. In Southern Africa, these include Sun City Resort – North West Province; Table Bay Hotel – Cape Town; and the Royal Livingstone – Zambia / Zambezi . 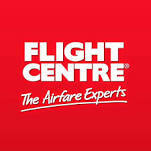 Flight Centre — the Airfare Experts and the World’s largest travel agency. The organization has a passion for travel and the experience. It is a combination that is unbeatable in the travel business. It means they go further for their customers, and give them Value that is unbeatable. Flight Centre is able to offer clients of The African Collection the very best specially negotiated airfare rates on return flights to and within Africa – inbound clients from the USA, the UK, Australia and New Zealand, Canada, the EU, and many Asian countries. 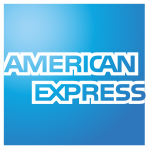 Their service includes the efficient redemption and processing of frequent flier credits belonging to individual clients. Distell Group Limited is Africa’s leading producer and marketer of spirits, fine wines, ciders and ready-to-drinks. Distell employs about 5 300 people worldwide and has an annual turnover of $1.5 billion (R19 billion). Distell crafts distinctive alcoholic beverage brands, enhances memorable moments and inspire responsible enjoyment. The value created enriches the lives of the people, shareholders and the communities within which we live and work. Distell is a proud African alcoholic beverages company with heritage, global reach, world-class people and the ability to do extraordinary things! Distell exists to provide unique moments of social enjoyment through the responsible marketing of well crafted ciders, wines and spirits. On the wild-open plains of sub-Saharan Africa, the indigenous marula tree grows wild. Its exotically tangy marula fruit ripens at the height of the African summer and is hand-harvested by local villagers. The fruit is pulped, fermented to become marula wine before it is double distilled as a marula spirit and then aged in oak barrels for two years. Anthonij Rupert Wyne was founded on the farm, L’Ormarins in Franschhoek (dating back to year 1695). Owned by the late Anthonij Rupert, son of the great industrialist Dr Anton Rupert, who passed away in 2001, the farm was eventually taken over by his brother Johann Rupert in 2003 and the brand named after him. It was Johann Rupert who constructed a state-of-the-art winemaking facility, catapulting the farm into a prestigious wine estate and the beginnings of what is now a sprawling enterprise. The focus is on terroir specific wines and therefore it would seem obvious that the brand is made up of an impressive portfolio of farms representing the best in grape producing locations. The portfolio is made up of L’Ormarins situated in Franschhoek, Rooderust in Darling, Riebeeksrivier in the Swartland and Altima in isolated Elandskloof. Individually each site offers optimum varietal specific growing conditions, allowing Anthonij Rupert Wyne to adhere to the requirements of their different brands. Johann Rupert is the founder chairman of the Swiss-based luxury-goods company Richemont (Cartier, Mont Blanc, Dunhill etc) as well as of the South Africa-based company Remgro. Together with his family he was estimated to be worth $7.7 billion as of September 2013 and Forbes ranked him as one of the five richest Africans.